An anti aging hand cream is an important part of a proper skin care routine. As is the case with the face, the skin on the hands dramatically shows the signs of aging over time, especially if the skin has not been properly taken care of. These signs will show up much earlier than normal with proper hand skin care and the use of appropriate creams and lotions when required. The hands are vulnerable skin parts of the body because they are regularly exposed to many of the harmful elements that can damage or age skin prematurely. Examples of these elements include the sun’s damaging ultraviolet rays, the numerous amounts of oxidizing pollutants in the air, hot and cold temperatures, and humid or very dry conditions. In addition to the above listed environmental sources causing damage to the skin, the hands also experience much physical abuse in the form or cuts, scraps, friction, and other forms of injury. Finally, the skin on the hands is exposed to or in contact with many chemicals on a daily basis. Examples of these chemicals include soaps for washing hands or dishes, detergents for laundry and other uses, and various harsher chemicals used in our daily routines such as cleaning chemicals containing ammonia or bleach, paints, and a variety of other solvents. Because of all the above mentioned factors the hands often do not reflect the true age of the individual. 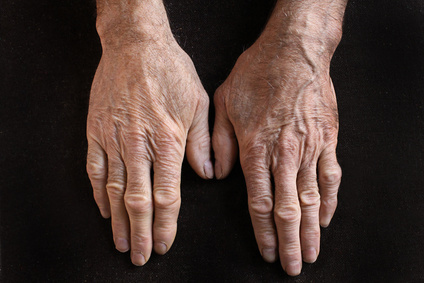 An individual is often mistaken for being much older than they are because of the condition of the skin on their hands. It is for this reason that an effective hand cream should be part of your healthy skin care routine. For proper anti aging skin care, the Robanda hand cream should be the cream you choose. This is not just a simple moisturizer. This cream contains active Retinol, which is an important element in the anti-aging of skin. The cream also contains sunscreen protection of SPF20 to protect the skin from sun damage and limit the amount of skin aging that occurs from sun exposure. Sun exposure is one of the main factors leading to skin aging and therefore, SPF protection is essential in an anti-aging cream. Finally, the hand cream contains a natural skin whitening ingredient in order to fade dark spots and other pigmentation issues on the skin, which are common aging skin signs on the hands. This quick penetrating, non-greasy hand treatment has been voted by beauty editors as the "#1 Anti-Aging Hand Cream in the USA" two years in a row.